To many business customers looking to reduce their carbon footprint, purchasing a new print solution might not be an obvious choice. Toshiba TEC have confronted this issue head on with an innovative, marketing led offset initiative that sets them apart from their competitors and shows real leadership in a challenging market. As a corporate giant Toshiba is well aware of its environmental and Corporate Social Reponsibilities. They have made significant breakthroughs in production techniques and innovation and have committed to long term dramatic reductions to their environmental impacts across the globe. 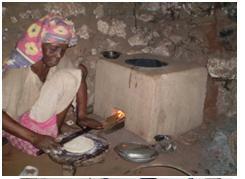 This is an extension of an already active program of impact reduction and CSR activity. Ask anyone about environment savings around the office and the conversation very swiftly comes round to printing and photocopying as a candidate for reform. The chief issue is people still like to work with paper. Independent research carried out by You Gov, showed that most people would print out an important email or electronic document to read, rather than review it on screen. 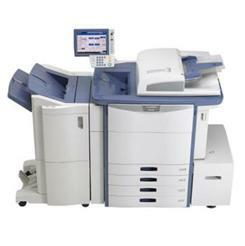 Toshiba TEC produces a range of MFD’s (Multifunctional Printing Devices) and software for every office environment. Over recent years these products have become increasing sophisticated incorporating the fax, printer, copier and scanner into a single energy efficient device. Correct use of account codes and software can reduce the number of wasted pages but there is still and inherent requirement to print. Toshiba TEC working with co2balance have established an exact carbon footprint for each page produced on their devices. They have taken the bold step to offset the carbon foot print of the hardware and the first one million pages or five years life on every product they sell. This gives them a unique selling proposition in a very crowded market and sets them apart as a manufacturer that does more than offer good advice. The carbon zero MFP then becomes a major environmental benefit to any business that invests in the products. As the offset (from co2balance African energy efficient stove projects) is provided to cover the production of print including all the energy, paper, toner and service. Their customers are able to add their carbon zero printing status to their own environmental credentials.